Personal Injury Attorney Todd R. Korb | Hupy and Abraham, S.C.
Attorney Todd Korb - Partner at Hupy and Abraham, S.C. Todd R. Korb has been practicing law since he graduated from the University of Wisconsin Law School in 1996. 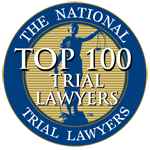 Todd R. Korb has been practicing law since he graduated from the University of Wisconsin Law School in 1996. Attorney Korb has obtained millions in recoveries for his clients in almost 20 years of practice. He has lectured numerous times on legal and insurance coverage issues in Wisconsin. Attorney Korb has successfully handled thousands of personal injury cases including auto accidents, dog bites and product liability cases. He is currently involved in his community as a member of his town's government while volunteering and coaching at his children's school. From the day we had called for their assistance, I knew I was in good hands.. Todd Korb is an outstanding attorney. He was absolutely brilliant in the courtroom. He was very well prepared and his confidence gave me peace of mind. Thanks to all of the hard work from attorney Korb, we left that courtroom happy with the result. If you need a team that is honest, caring, and absolutely amazing to work with, Hupy and Abraham is the firm I would recommend. They went above and beyond and showed they truly cared. Thank you for changing my life! Attorney Korb - we want to THANK YOU so much for all of your support throughout our ups and downs. What an emotional roller coaster. We think you are an amazing person and wanted to let you know that we appreciate you and all of your sincere efforts to see us through these trying times. Attorney Korb - I would like to thank you from the bottom of my heart for what you did for me. Everything turned out beautifully. I read all of the brochures about all of the beautiful people you have helped and thank you for helping me too. I will send you a card. God bless all of you. Give everyone in the office a hug from me, I love you. Attorney Korb - I just want to drop you a couple of lines to thank you for everything, all your hours and hard work. I know we did all we could. Again, just thanking you from the bottom of my heart. 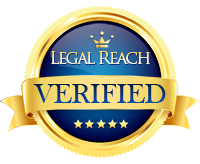 Attorney Todd Korb is proud of the firm’s integrity and welcomes you to post your own review. If you had a nice experience with Attorney Korb, let us know. We enjoy receiving feedback from our clients and we’d love to hear from you. 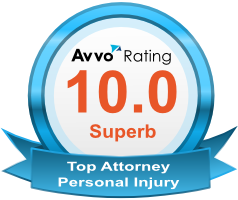 From Day 1 and throughout my case, everyone - especially Todd Korb - was extremely helpful and courteous. Thank you for everything, I could not be happier!